DOOR HANGERS ARE A GREAT MARKETING INVESTMENT! With today’s large campaign advertising you need to differentiate your products and services from the competition. Our unique door hangers are going to give your company an edge by standing out with impact. You will capture 100% of the consumer’s attention. By being on the door waiting for when they arrive home to hear your message. 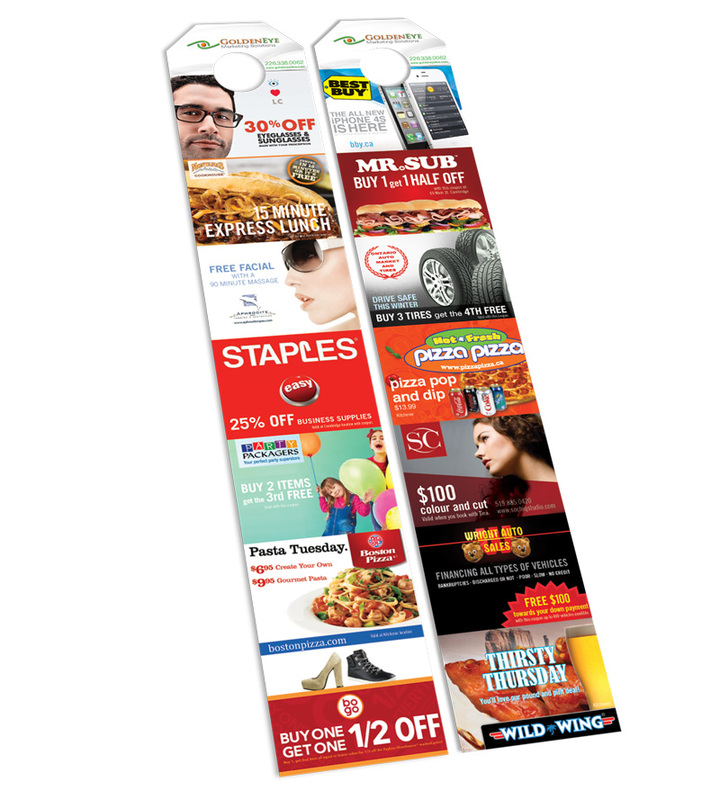 Whether you want to Increase awareness of your brand in the market, or put on a promotion to drive traffic thru your doors, GoldenEye’s unique door hangers are sure to deliver the results you’re looking for. Your clients want to see what you have to offer and now they can with ease. 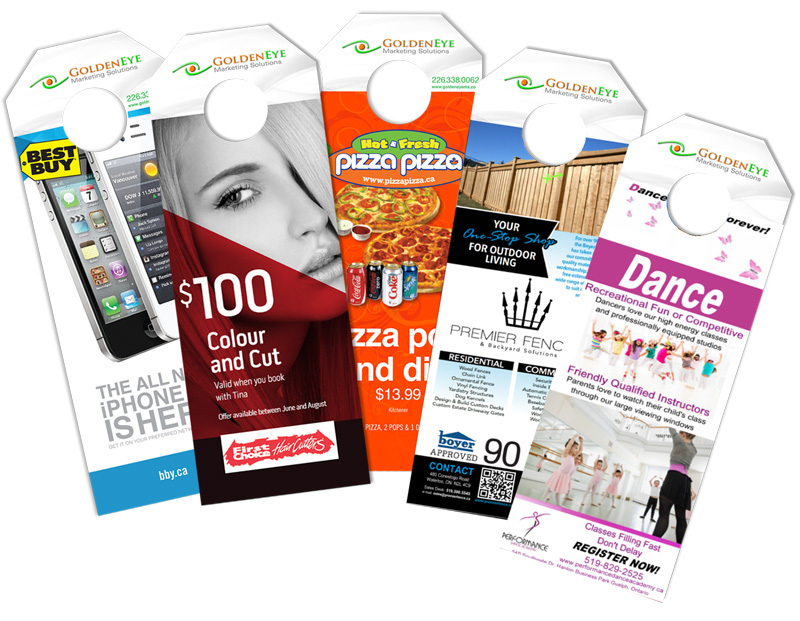 Group Door Hangers give you an amazing opportunity to have your ad seen by thousands and for only pennies. Single door hangers are great way to brand your products or services plus you get to stand out and have all the attention with our single hangers.